The essence of Darwinism is the survival of the fittest at the expense of the weakest. Darwinism does not say whether this process is morally good or morally bad. It just says it happens. Misleading spin—? Hardly! It was Spencer who thought up the term “survival of the fittest” in 1864 after reading Darwin’s Origin of Species. This term, in fact, so accurately described both the process and the results of Darwin’s theory of evolution that Darwin adopted it and used it in editions of his Origin published from 1869 on. The BBC Program goes on to say that the words [survival of the fittest] “were seized and turned into a prescription, scientific justification for political ideas, some of which were vile”. And, “Survival of the fittest was soon being used to justify triumphs of colonialists over indigenous populations.” The example given was the extermination of the Aborigines in Tasmania. Oops, Andrew, you are making moral judgments again about something that is totally amoral. You go on to quote Darwin as follows: “Darwin wrote, ‘At some future period, not very distant, the civilised races of man will almost certainly exterminate and replace the savage races.’” What you fail to say is that this was a quote from Darwin’s Descent of Man,2 written in 1871, after Darwin had had over a decade to see the effect of his theory on the world. What you also failed to say, Andrew, was that this quote occurred in a paragraph in which Darwin was defending his theory against objection, and so was used by Darwin as a proof of his theory. There is nothing revolutionary about the survival of the fittest, but everything evolutionary! The BBC Program moves on to discuss Darwin’s cousin Francis Galton, who invented the term eugenics [Greek: εύ (eu) meaning ‘well’ and γένος (genos) meaning “kind” or “offspring”]. Eugenics applies animal breeding to humans. Marr tells us that “Darwin’s theory was about to be manipulated for politically fashionable purposes” (referring to the proposed future sterilisation programs in Europe and the USA). Galton believed that talent, character, intellect, etc. were all inherited from one’s ancestors, as was also any lack of these qualities. Thus the poor were not hapless victims of their circumstances, but were paupers because they were biologically inferior. This was contrary to the prevailing scientific view that all such qualities were due to environment, i.e. how and where a person was brought up. Galton believed that humans, like animals, could and should be selectively bred. Andrew, that’s more spin. These events were not a corruption of Darwin’s theory, nor a veneer, nor yet a translation, but the essence. It is true that the Nazi’s “Final Solution” resulted in the murder of many “gypsies, communists, Poles, Slavs, mentally and physically disabled, homosexuals, political and religious dissidents, and 6 million Jews”. But why do you describe this as “hideous”? Such a term can only be applied to the actions of human beings who have a conscience and moral faculties. It cannot be applied to modified animals. 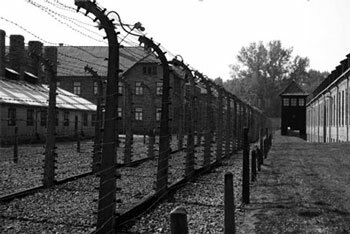 What the Nazis did in the Holocaust was not a perverted interpretation of Darwin’s theory of evolution, but the logical outcome for a society that had adopted Darwin’s erroneous theory as fact. It is also an outstanding example of the fact that when an atheistic philosophy is embraced by a society and promulgated to its logical conclusion, there is no limit to the harm that can result. the use of abortion to eliminate “defective” or “inconvenient” unborn babies, infanticide, euthanasia, and the harvesting of unborn babies for research purposes all have a common foundation in Darwin’s survival-of-the-fittest theory and so are an integral part of the Darwinian worldview. A better explanation is that DNA shows a common Creator rather than common ancestor. The unity in biology tells us that there is but one Creator, and the pattern of diversity defies any consistent naturalistic explanation.9 Furthermore, all human beings are related, and this is not because we have all evolved from the same ape-like creature millions of years ago, but because we are all the descendants of the same pair, Adam and Eve, created by God, some 6,000 years ago, as detailed in the first book of the Bible, Genesis. We have all been made in the image of God (Genesis 1:27), not in the image of an ape. In bringing his account of Darwin’s theory up to date, Marr omitted discussing several vital issues which are every bit as much a consequence of Darwin’s theory as was the Holocaust. 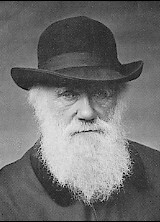 Similarly today, the use of abortion to eliminate “defective” or “inconvenient” unborn babies, infanticide, euthanasia, and the harvesting of unborn babies for research purposes all have a common foundation in Darwin’s survival-of-the-fittest theory and so are an integral part of the Darwinian worldview. We await Andrew Marr’s attempt to exonerate Darwin from responsibility in these events, but we are not holding our breath. Not to be confused with Episode 1: “Darwin’s Dangerous Idea” of the American PBS/Nova TV series Evolution, reviewed by our Dr Jonathan Sarfati. Nor yet with Daniel C. Dennett’s book Darwin’s Dangerous Idea, in which Dennett describes Darwin’s theory as a “universal acid” (which our Dr Carl Wieland reviewed in Creation magazine. Return to text. Darwin, C., The Descent of Man, John Murray, London, 1887, p. 156., or . The full quote is: “At some future period, not very distant as measured by centuries, the civilised races of man will almost certainly exterminate, and replace, the savage races throughout the world.” Return to text. Galton, Sir Francis, Encyclopaedia Britannica 5:97–98, 1992. Return to text. Galton, F., Hereditary talent and character, 2 parts, MacMillan’s magazine 12:157–166 and 318–327, June and August 1865. Return to text. Cowan, R., Sir Francis Galton and the study of heredity in the nineteenth century, Garland Publishing Inc., New York, USA, p. 75, 1985. Return to text. Galton, F., Memories of my life, Methuen & Co., London, UK, pp. 317–18. Return to text. For further comment see Grigg, R., Eugenics … death of the defenceless, Creation 28(1):19–22. Return to text. Wieland, C., https://creation.com/charles-darwins-real-message-have-you-missed-it or Creation 14(6):16–19, 1992. Return to text. ReMine, W., The Biotic Message. See review : https://creation.com/the-biotic-message-book-review. Return to text. Source Scaruffi, P., The worst genocides of the 20th century, http://www.scaruffi.com/politics/dictat.html. Return to text.